Medical Device & Dangerous Drug Lawyer in Mobile AL | Lattof & Lattof, P.C. 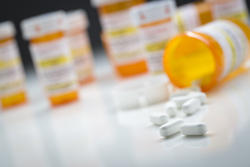 When you are injured by a medical device or a medication you were prescribed, you may not know what to do first. You may quickly be reaching the limits of your insurance to cover your hospital costs, be unable to work due to complications of your injury, or have even lost a member of your family due to a product that was supposed to help him or her. Unfortunately, companies release dangerous products onto the market every day, many of which can cause lifelong or fatal injuries—but that does not mean patients must suffer the effects alone. A single defective drug or medical device can cause injuries to thousands or even millions of people, all of whom have a right to get compensation for their suffering. At Lattof & Lattof, we accept dangerous drug and medical devices cases from every U.S. state, allowing patients to get justice no matter where they live or where the injury occurred. Contact us today to tell us the details of your case in your free consultation and find out what we can do to help. Bair Hugger Warming Blankets. This surgical device is under fire for encouraging the growth of bacteria in patients. The resulting deep joint infections may require additional surgery, result in permanent disability or amputation, or cause death. Blood thinning medications. Blood thinners such as Xarelto and Pradaxa can cause irreversible bleeding that may be fatal. Essure Birth Control Device. This permanent method of birth control forced some women to suffer severe complications that resulted in hysterectomy. Hernia Mesh Devices. Ethicon withdrew its Physiomesh implant after numerous reports of injuries that included organ perforation, infections, and death. Hip replacement devices. Metal-on-metal hip devices made by manufacturers such as Stryker, DePuy, Biomet, Zimmer, and Wright Medical have been known to fail prematurely, cause bone fractures, or cause metal poisoning that forces patients to undergo a second replacement surgery. Invokana. Invokana and other sodium-glucose cotransporter-2 (SGLT2) inhibitors have been known to cause kidney failure and ketoacidosis, which can place a patient in a diabetic coma that may end in death. Inferior vena cava (IVC) filters. These tiny devices made to trap blood clots in a patient’s body after surgery may break apart, puncturing organs and causing pulmonary embolism. Ongylza Diabetes Medication. Patients who have filed claims against drugmaker AstraZeneca allege that the company did not warn consumers about the risks of pancreatitis, cancer, or heart failure. Opioid Crisis. Opioids are opium based drugs that act on the nervous system to release pain. Continued use and abuse can lead to physical dependence and withdrawal symptoms. Proton pump inhibitors. Heartburn medications such as Prilosec, Nexium, Prevacid, Aciphex, Protonix, Zegerid, and Dexilent may cause acute interstitial nephritis and kidney failure. Risperdal. Boys and young men taking this schizophrenia drug may suffer gynecomastia, or development of enlarged breast tissue. Talcum powder. Women who used Johnson & Johnson’s Baby Powder or other talc-containing products may have suffered ovarian cancer as a result. Taxotere. Some women taking this chemotherapy medication have suffered alopecia (permanent hair loss). Testosterone replacement therapy. Men may have suffered strokes and heart attacks as a result of taking testosterone supplements. Viagra. Some medications that increase sexual performance may also increase the risk of melanoma and other forms of skin cancer. Zofran. The nausea-prevention medication Zofran may cause birth defects if it is taken while pregnant. We Fight for Justice for Injury Victims Across the U.S. The makers of medical devices and medications know how much is at stake if they lose an injury case. They may be ordered to pay all of a patient’s medical bills and lost wages, be forced to pay enormous punitive damages, and suffer a tarnished reputation that can cost the company millions. As a result, companies fight hard to avoid liability, hiring teams of expensive attorneys and gathering as much evidence as they can to defeat a claim. This is why it is crucial to have a dangerous drug lawyer on your side. In a world where patients are up against corporations with endless resources, our attorneys provide a balance of power. If you have been hurt or have lost a loved one due to a dangerous drug or medical device, we can explain your options to you and help you move forward, and we charge no fees unless we make a recovery in your case. Give us a call today at (800) 239-2612 or fill out the quick contact form on this page to begin your free consultation.